Why use our professional hospice photography service & interactive hospice virtual tours? Could your Hospice Facility use a boost in awareness and support from your community? At RTV we know how important your facilities are to the people you work with. RTV offers full professional photography coverage in the US and Canada! We partner with, and pre-qualified photographers to make sure your photography is up to professional standards and completed with respect and dignity. Your professional photography and virtual tour package will highlight your facility in the best light. 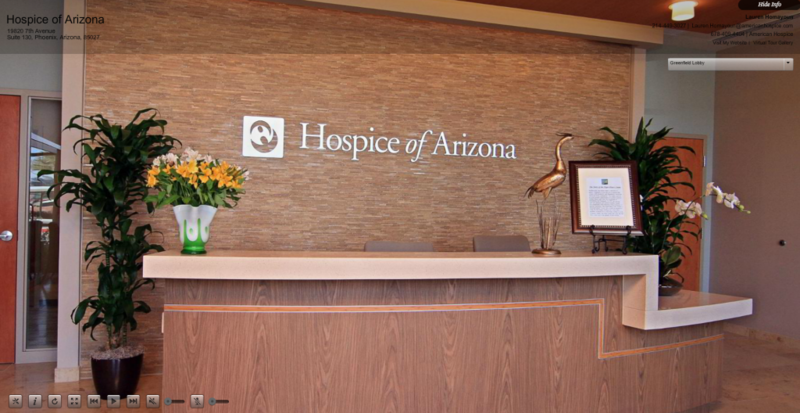 Your hospice photography and virtual tour package will highlight the importance of your organization among potential donors and show the loving nature of your hospice care among families who need that comfort in a difficult time. We offer nationwide coverage with hundreds of photographers that cover coast to coast locations which is why so many companies enjoy using our photography network and getting professional images at an incredibly low price! Other virtual tour and photography services may only cover large cities and metropolitan areas and take months to get to your hospice center. RTV provides worldwide commercial photography services with its extensive network of over 1500 professional photographers and can have each hospice facility photographed and completed quickly. With our vast network of professional photographers, we guarantee coverage for your area, even in the smallest of towns. Want to know more? Give us a call at (866) 947-8687 and we will discuss viable options for your unique business requirements or fill out the form below and a member of our staff will reach out to you.